AYS Engineering is a full-service, minority-owned engineering firm serving Austin and Central Texas. They offer mechanical engineering, electrical engineering, and plumbing design services. AYS focuses on commercial projects ranging from restaurants and breweries to retail spaces to office buildings to medical/clinical and elder care facilities to manufacturing and warehousing. 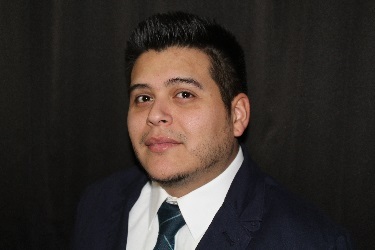 Carlos Zarate, Electrical CAD and Design, has been with AYS for over four years and has used Design Master Electrical for three years. According to Mr. Zarate, AYS uses Design Master for all its electrical engineering projects. “For example, instead of having to visually look all over a large, multi-sheet drawing for a specific piece of equipment or light fixture, I can locate it in a second using Design Master’s project explorer feature—it’s perfect,” Mr. Zarate adds. “The software also really speeds up revisions, which is a huge convenience for us and our clients,” Mr. Zarate observes. Design Master Electrical stores project data in a database separate from the drawing files. This enables users to save considerable time by copying and reusing part or all of the data across projects. Improved readability also helps construction managers and others who are using the drawings in the field. “Anytime we need help they give us a perfect, step-by-step process to solve our problem, which is very convenient and helps us keep moving,” states Mr. Zarate. “Design Master Electrical is the new way to do electrical design,” Mr. Zarate asserts.